Watch TV live channels on Apple TV, iPhone & iPad, Mac! 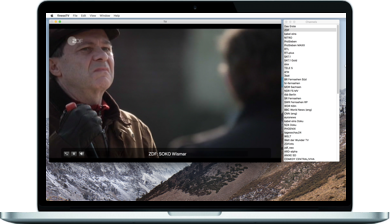 The finessTV Stand-Alone solution allows it to watch Sat IP TV receiver live channels on Mac. 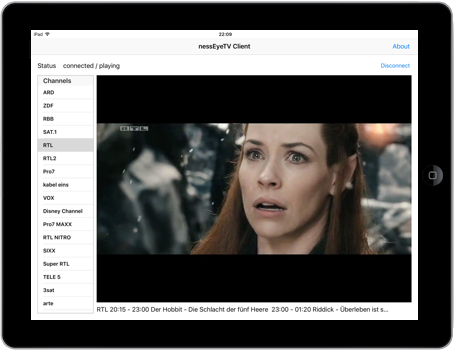 The finessTV Server Client solution allows it to stream the current live channel of a TV receiver or archived movies to (multiple) clients on Apple TV, iPhone or iPad, Mac. Clients can easily and privately connect to the server from outside the local WiFi and friends can be invited to share television and archived movies. The finessTV Server Client solution supports EPG of TV providers or optionally XMLTV. 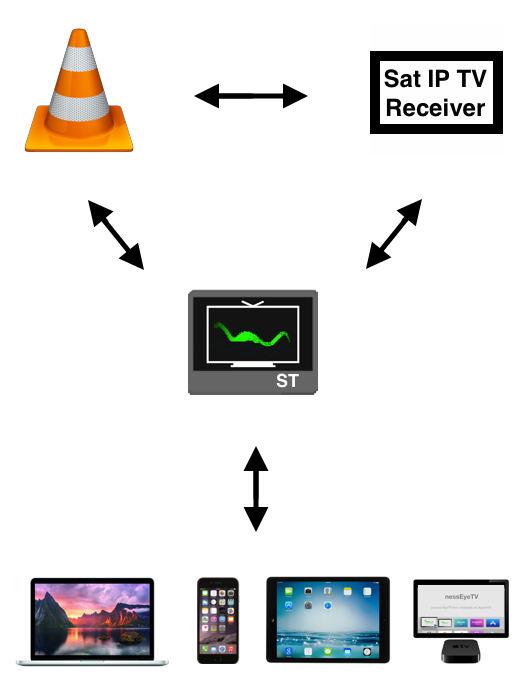 channels via DLNA/UPnP. Alternatively, a M3U playlist URL can be specified in the preferences. if the server is started. 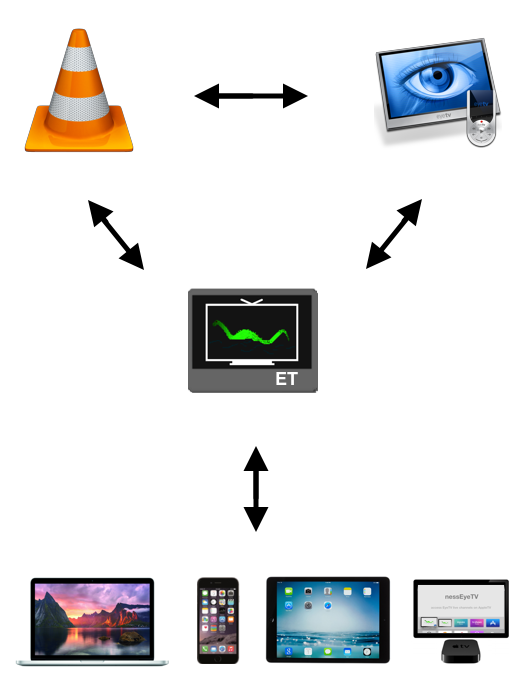 EyeTV archive sharing or EyeTV iPhone sharing is not used and must not be activated. 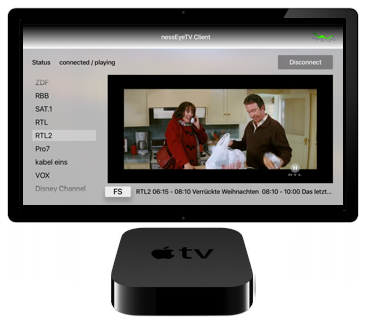 The server streams the live channel of a TV receiver or archived movies to clients on Apple TV, iPhone & iPad, Mac. Please note that incoming connections must be allowed in the firewall settings for the server (and the Mac client). After the successful start, the server will launch VLC in the background to save the current live stream as segmented live stream. Clients can then connect to the server to watch the live stream or archived movies. and the current live stream in a player view. If EPG data is available, an info will be shown with the time start / end of the program. The current channel can be switched by selecting another channel in the list. the channel is also switched if the channel is switched on another client. clients can continue to watch the live stream or select and watch a archive movie as well. and that channel switching takes 20 seconds. Timeshift and other features (of EyeTV) are not available. the clients for Apple TV and iPhone & iPad are available now in the Apple App Store. Apple, Apple TV, iPad, iPhone, Mac are trademarks of Apple Inc., registered in the USA and other countries. EyeTV and the EyeTV app symbol is a trademark of Geniatech. Fritz!Box is a trademark of AVM Computersysteme Vertriebs GmbH. VLC and the VLC app symbol is a trademark of the VideoLAN non-profit organization. All other trademarks are property of the respective entitled companies.